Mercedes E-Class E63 4Matic+ Premium 4dr 9G-Tronic 2019 Review | What Car? What Car? will save you at least £3,710, but our approved dealers could save you even more. Standard with the E63, we’re talking fitments such as 19in alloy wheels, unique AMG bumpers and side skirts, a limited slip differential, electrically adjustable, heated sports front seats combined with an electrically adjustable steering column all with memory function. Then there’s the 12.3in infotainment screen including sat-nav, a further 12.3in screen housing those digital instruments, Nappa leather seat trim, a rear-view camera, front and rear parking sensors and LED headlights. 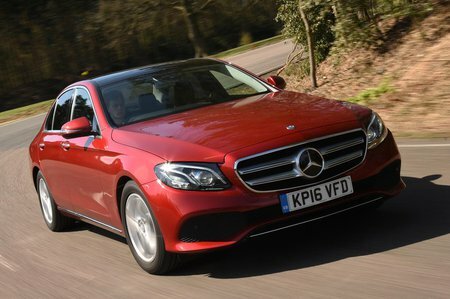 The E63 is no longer available - you'll have to upgrade to the E63 S instead.